Like Gummy Bears? Stock up on Amazon! Hurry and get the Black Forest Gummy Bears Candy, 1.5 Ounce Bag, Pack of 24 today for as low as $5.51 from Amazon when you choose Subscribe & Save with at least 5 subscriptions! It’s the perfect size for a sweet snack. Want to get it sooner? Choose one-time purchase & pay $6.48. 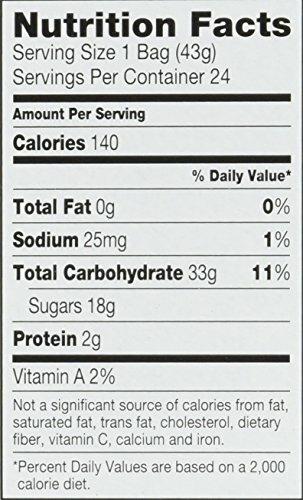 Buy the Black Forest Gummy Bears Candy, 1.5 Ounce Bag, Pack of 24 from Amazon. Previous articleMop, Broom & Garden Tool Organizer (Wall Mounted Holder) DEAL! Next articleThe One-Minute Gratitude Journal (2 *HOT* Deals)!